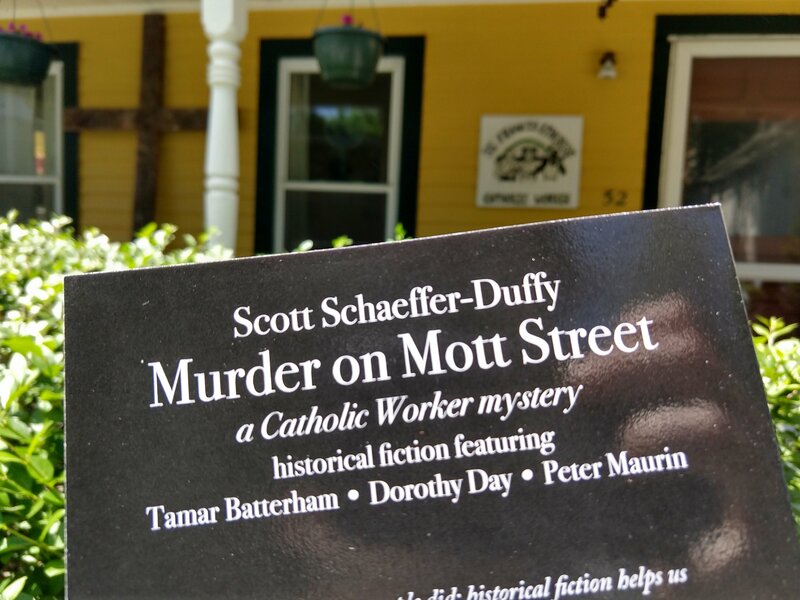 Longtime Worcester Catholic Worker Scott Schaeffer-Duffy has written a historical-fiction mystery in which “teen detective” Tamar Batterham (aka Dorothy Day’s daughter) teams up with Catholic Worker co-founder Peter Maurin to solve a murder in the New York City of 1941. Today the book launched at an event at Holy Cross. I’ve only had time to read the first two chapters of Murder on Mott Street. 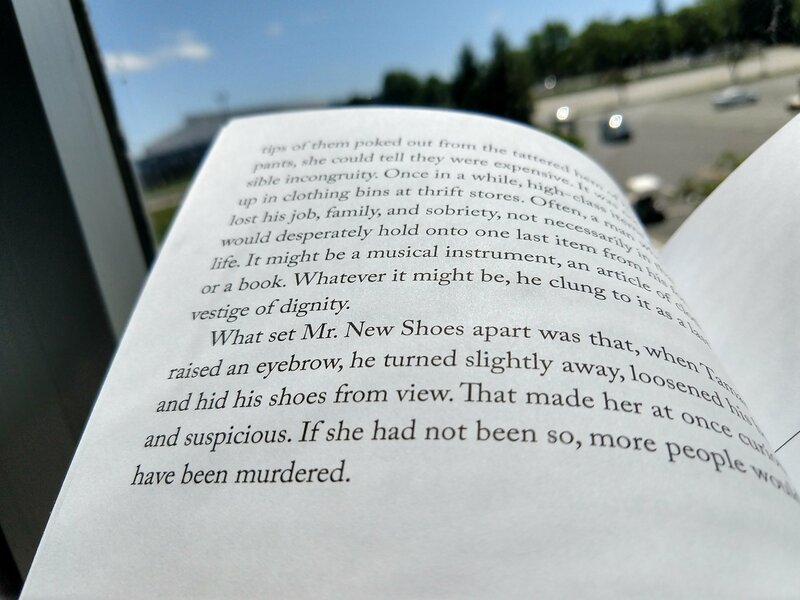 My review so far: chapter one is a totally legit first chapter to a murder mystery. And I love how Scott closes it with a cliffhanger before devoting the 7 pages of the next chapter to a capsule history of the early Catholic Worker movement.